A customer from Upper Holloway, London contacted us with a request for a landscaping work in the backyard garden including re-turfing and patio laying. 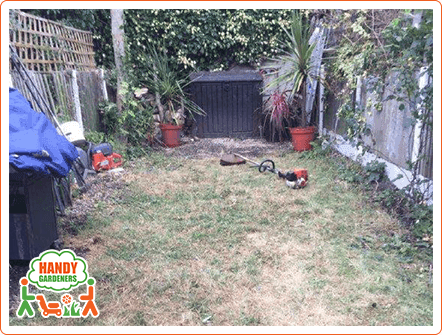 We were quick to react by sending over our head landscaper to see and estimate what would it take to perform the job. After the viewing, our gardening team had designed a plan for the job execution. A price estimate was given. The first step of performing any Landscaping Service is our team of head landscapers visiting the site where the landscaping job would be executed. 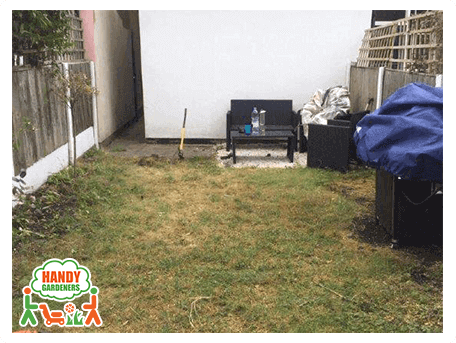 Our appointed head landscaper met the client at his property in Upper Holloway, N19 and went over all the details and requirements as the client had to be sure that they will be covered. After the job was booked, the final price was estimated and confirmed by the client. 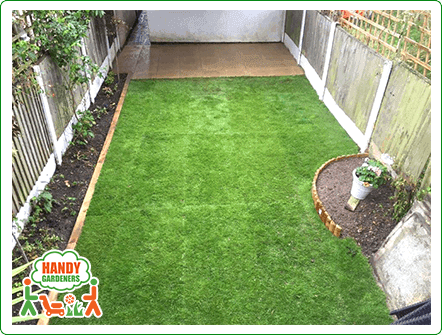 Our experienced team of landscapers had prepared everything required for the job execution, so they went to the site on the appointed day bringing with them all the needed supplies and gardening equipment, so the job could be done promptly. The first thing to do was to remove all existing square slabs and then prepare the ground for the new paving slabs. 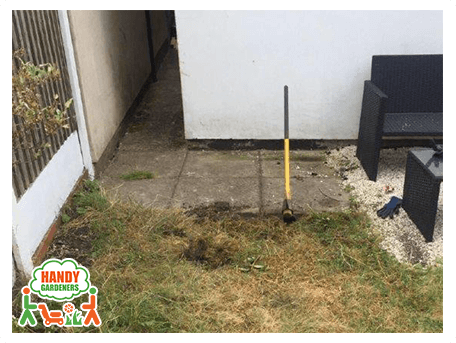 This step usually includes the following: removing the old patio slabs, digging up (depending on the level of the ground), leveling the area and then laying the new slabs. Laying a new patio was the next step of the garden transformation. After the old patio slabs were lifted and proper ground leveling and preparation was done, new slabs were laid on the patio area of 15 square metres. 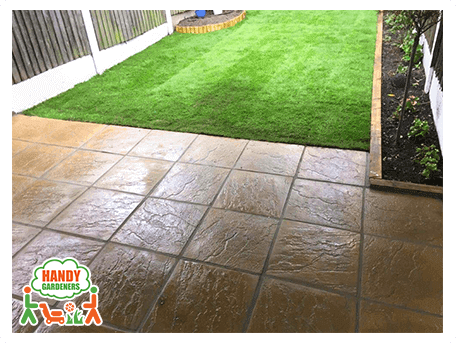 Our landscapers had brought with them the new paving slabs to be laid, purchased beforehand and approved by the customer. After the patio was done, the second thing was to lay the new natural grass. 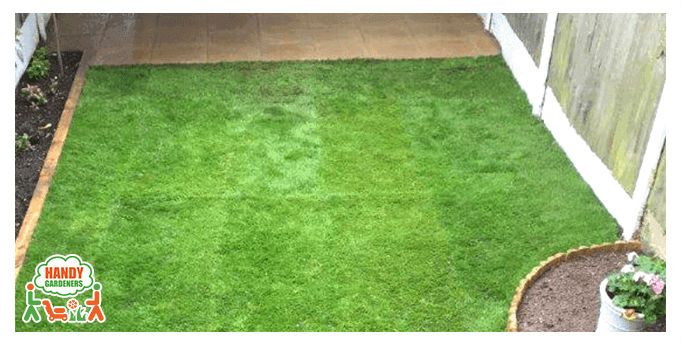 We are using high quality turf, which you can see from the pictures. Our team removed all the existing weeds, grass and any stones there in order to prepare the terrain for the new turf. Top soil was laid after the area was leveled and the final step was to cover the 20 sq.m. ground with the natural grass. Our landscapers had used their creativity and expertise to beautify the garden and make it look nice and tidy with creating low-maintenance, attractive borders for edging the flower beds. Flower beds were created at the end of the job with half circled borders which separate them from the new grass. 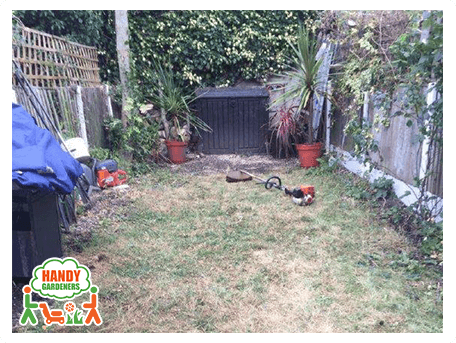 The final result is a beautiful and completely renovated/revamp garden.